Jared Leto is well known as a prominent American actor, singer director, and songwriter and if you were a fan of the 1994 TV series My So-Called Life, you possibly remember him as Jordan Catalano in the show. The actor’s role in the TV series scored well with fans and provided him the much-needed opportunity to show off his talents as well as his physical charm. Sadly this didn’t last long as the show ended after one season. But fans were lucky to see more of him when he marked his entrance into the big screen the following year playing in How To Make an American Quilt. In 1997, he got a small break for his performance in Prefontaine which was met with critical praise. Let’s explore Jared’s journey so far and other captivating facts about him. Born in Bossier City Louisiana, Leto was welcomed into mother earth on December 26, 1971. He grew up in a trouble-filled home. His parents separated when he was still a child. His biological father remarried and years later he killed himself. As a result of the consistent trouble rocking the family, Jared Leto and his elder brother Shannon Leto stayed with their maternal grandparents. Throughout his childhood, his family moved countless times from one city to another in Louisiana. Leto attended Emerson Preparatory School in Washington, D.C and started pursuing a university degree from the University of Philadelphia. Along the line, he developed a passion for filmmaking which led in his transfer to School of Visual Arts in New York City. Once he entered the Big Apple, he took classes and started his career, writing and appearing in the short film, Crying Joy. In 1992, Leto headed to Los Angeles with a bigger dream of starting out his directing and acting career. However, the only roles he could lay his hands on were small roles on TV shows. His first triumph came in 1994 when he joined the cast of My So-Called Life and the following year, he made his film debut How To Make An America Quilt. The actor has since made a mark as a singer and actor with many films and songs to his name. Leto has also attempted different ventures and most of them have been successful including. For example, he and his brother founded a well-to-do rock band group Thirty Seconds to Mars known to release many hit rock songs. More of such ventures include the establishment of marketing company named The Hive and an online platform VyRT which offers a live video streaming service. He has also tried politics and speaks up for animal rights. In addition to that, Leto is known to be actively involved in many charitable pursuits. Leto has three brothers; one older and two younger half-brothers (from his father’s second marriage). But he basically grew up with his older brother Shannon Leto. Those days, the Leto brothers lived in an environment surrounded by creative artists, musicians, and performers. The community helped in shaping their career path as creative expressions and stunts were appealing to residents. Encouraged also by their mom who joined hippie movement, it wasn’t long before the two boys took a cue from their surrounding and started playing music at a young age. Having come from not-so-rich home, Leto’s had to depend on a broken-down piano to create songs. This was his first musical instrument. Today, their past experiences have paid off and serve as a ladder to their success. 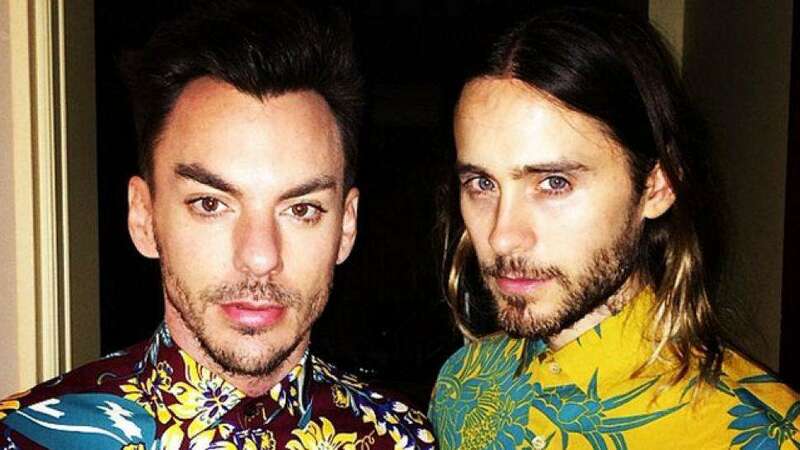 The brothers now own a successful rock band group “Thirty Seconds to Mars.” Shannon Leto is the drummer of the group while Jared Leto is the frontman. The group was established in 1998 and has released five hit albums. It is common to see people spread rumors that the actor is gay and these speculations spring up mostly because the actor has kept his private life private or maybe his portrayal of a transgender woman in the blockbuster biographical film, Dallas Buyers Club which won an Oscar for him. But apparently, Leto’s sexuality is straight as he has been seen with different women. A lot of female fans of Jared Leto would be happy to learn that their celebrity crush is not taken and perhaps ready to mingle. But for Leto, he has tried as much as he could to keep things to himself, so nobody can tell if he is dating or not. Although technically, he is single since there hasn’t been any wedding yet but the rest of it all remains concealed. This has led to several suggestions as to whom the actor is dating, and stunning Valery Kaufman has been caught in the middle of such rumor. The two have been spotted in the past years hanging out together but none of them has opened up whether they were romantically connected. Other women who have also been spotted with him and linked in the dating speculations include Katy Perry, Miley Cyrus, Paris Hilton, and hosts of other beautiful female celebrities. Jared Leto is a fit actor. He is allegedly 5 ft 9 inches or 175cm though on his Twitter account, he mentioned that he is 5 feet 11 inches or 180cm. Nobody is sure of what his exact height is, but both heights are quite reasonable for a man who weighs only 69kg or 152kg. His waist measures 32 inches or 81cm and his chest is 43 inches or 109cm. His arms or biceps measure 14 inches. These measurements give a clear look of a man with a perfect stature. After many years in the entertainment industry as an actor, singer, and entrepreneur, it is a rewarding thing to know that Leto has made a mark in the industry as one of the highest-earning stars and has earned up to $7 million in salary. With more money moves and several upcoming projects under his belt, the Oscar award winner’s current net worth which is $40 million is expected to climb in future.